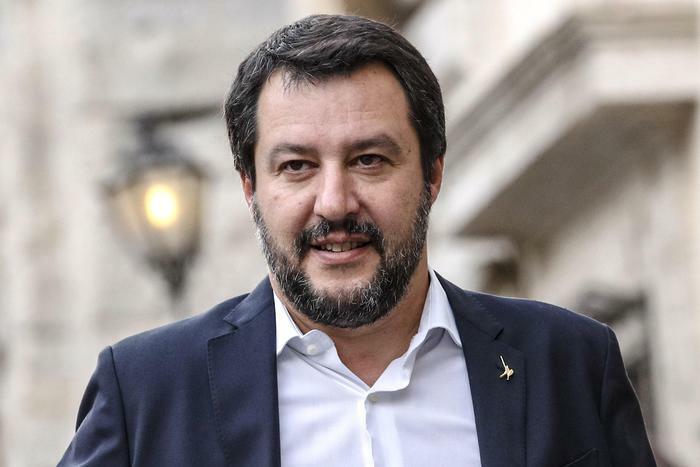 Italy’s Interior Minister Matteo Salvini announced on Monday he was once again under investigation for alleged false imprisonment after refusing to allow migrants to disembark from a rescue ship. “I don’t know whether to laugh about it or not,” he added, insisting that his policy of closing Italy’s port to people attempting to come from Libya to Italy by sea still stands. Leader of the far-right League, Salvini was under investigation for blocking migrants earlier this year. However, the trial was binned when senators voted that he should not be stripped of his parliamentary protection to face charges. The probe earlier this year surrounded the rescue last August of 190 people by Italy’s Diciotti coast guard ship, who were left stranded at sea for 10 days without permission to dock. The latest probe is based on 47 migrants rescued on January 19 off Libya by the vessel Sea Watch 3, owned by a German charity and flying a Dutch flag, which was only permitted to dock on January 31 after Italy struck a deal with other European countries to take in the migrants. Prosecutors in the Sicilian port city of Syracuse, where the ship took shelter from bad weather between January 24 and 30, have opened an investigation into alleged false imprisonment and named Salvini as the suspected perpetrator. Palermo mayor Leoluca Orlando, who in January defied Salvini’s “closed ports” order by offering to allow the Sea Watch 3 to dock, said he hoped that Salvini would “not be tempted to try to dodge justice once more with the odious recourse to parliamentary immunity”.